Entertainer tells the story of how two men’s presently unfortunate lives get entwined for the better thank to music. Shin Suk Ho (Ji Sung), an arrogant music producer, and talent manager, quits his job at the esteemed KTop entertainment company to start his own music label. But due to a lot of uncanny coincidences and a few buried conspiracy, he ends up losing everything and is humbled in life. 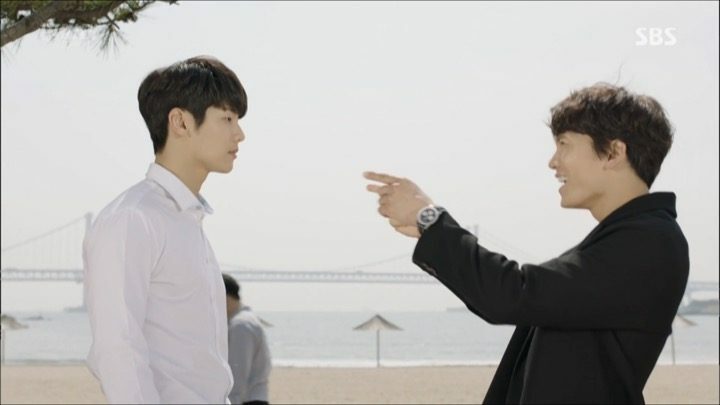 Jo Ha Neul (Kang Min Hyuk) gets framed by his long time best friend for assaulting her and ends up with an incriminating record. 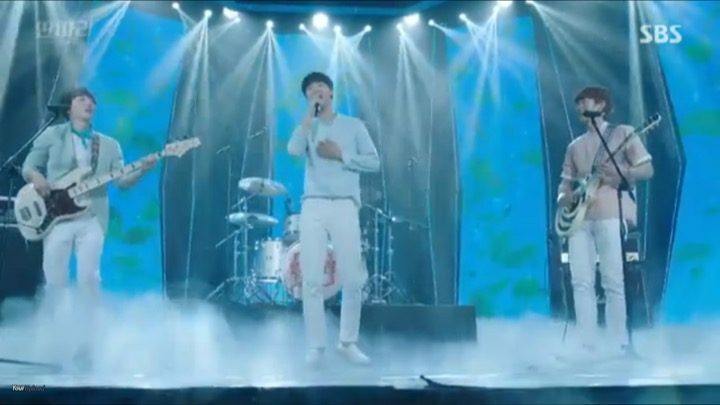 As Suk Ho vows to clear Ha Neul’s name and turn him into a famous musician, they uncover the hidden secrets surrounding people of importance to them. It focused on the smaller details without letting go of the bigger ones. Entertainer is definitely a Korean drama with a rare package. It features a lot of melodrama, but also mysteries wrapped up in a neat parcel along with amazing characters, fast plot lines, hilarious comedy, and heart-warming romance. Entertainer focused on the smaller details without letting go of the bigger ones, all the while maintaining a masterful blend of the sometimes ludicrous, sometimes thrilling, and sometimes tragic moments. All in all, I feel that Entertainer is one good drama not to be missed this year. Entertainer immediately interlaces knee-slapping comedy and heart-wrenching melodrama to keep it’s viewers, well, entertained while setting up the premise of the story. The first six episodes of this drama, despite not being of the crime/thriller genre, had a stupendously fast moving plot line and a lot of mystery. This coupled with the great cast indeed captured my attention right off the bat. Despite not being of the crime/thriller genre, it had a stupendously fast moving plot line and a lot of mystery. One thing that stood out to me about these episodes was that despite the farfetched storyline, all the characters were realistic and relatable. First off, Suk Ho, our hero, starts out as an overly confident bully who changed to be humble and righteous through his hardships. What I liked about him was that he keeps growing throughout the drama and constantly adds new dimensions of himself. He also strongly believes that he is the living example of the proverb, “what goes around comes around”. Life quickly leads Suk Ho to Ha Neul, who turns out be his late best friend’s brother and whose talent is a ray of renewed hope for him. So Suk Ho immediately proceeds to sign Ha Neul and goes on assembling The Entertainer Band. Ha Neul’s life is no walk in the park either. He has a love for music and a passion for singing, which was vehemently opposed by his late parents and left him with a deep emotional scar. His life gets turned upside down when he gets unfairly tagged as a sexual offender. But he is beaten back into shape by his adopted sister, Jang Geu Rin (Lee Hye Ri), an orphan who was taken in by Ha Neul’s parents to replace his deceased elder brother. Geu Rin takes on four part-time jobs and makes it her life’s mission to take care of Ha Neul just to repay the kindness Ha Neul’s parents. In general, Geu Rin comes across a kind-hearted, protective, hardworking woman with a short fuse. She soon takes in the other members of Ha Neul’s band under her wings — Kyle (Gong Myung), the guitarist and Julliard dropout, Na Yun Soo (Lee Tae Sun), the single dad bassist, and finally the drummer, Seo Jae Hoon (L.Joe), a mama’s boy and top student at Seoul University. I loved the way these episodes progressed. There were a few dry spots far and in between, and my interest never faltered much. 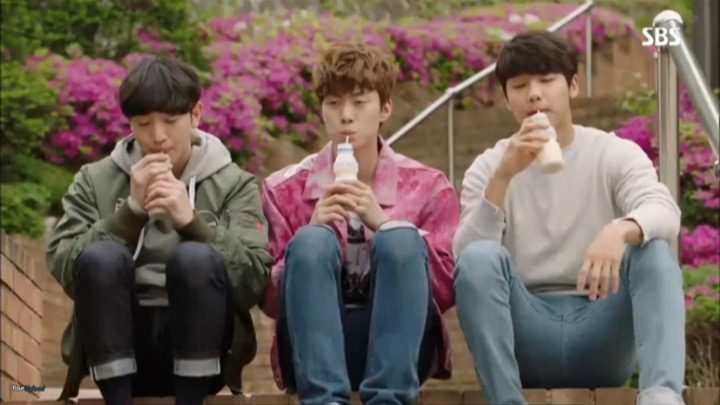 I quickly fell for the unique quirks of each character and I totally adored the manner in which this drama hinted at the budding romance between Suk Ho and Geu Rin. Their love quarrels were especially endearing and funny. While I’m most definitely dreading the love triangle as I always do, I do look forward to the interactions of the lead couple thanks to their undeniable chemistry. The supposedly boring everyday life of running a band becomes the central focus in these episodes. There was a considerable decrease in the speed of the plot. However, Entertainer maintained its level of mystery with regards to Ha Neul’s case. 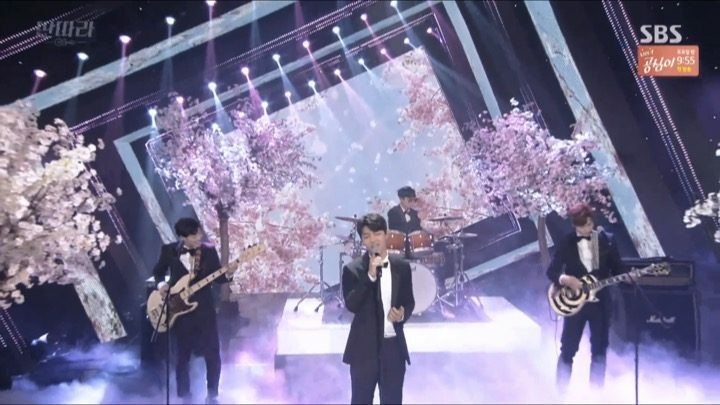 The band itself was given enough screen time to perform and received its fair share of attention as well, staying true to the drama’s name and identity. But what I especially enjoyed was the way these episodes built up the kinship between the members and progressed the characters through bickering over issues or individual hardships. Jae Hoon and Kyle in particular received their share of personal challenges before becoming stronger people and realizing the importance of team spirit. Jae Hoon is constantly pushed around by his strict mother to study while his passions are extend solely to drums. With the encouragement of Suk Ho, he works up the courage to express his true feelings to his mom. Kyle on the other hand, is discovered to be a drop out from Julliard with serious inferiority complex towards his guitar prodigy friend. However, with the support of his bandmates, manager, and producer, he learns to open his heart and overcome his mental obstacles. 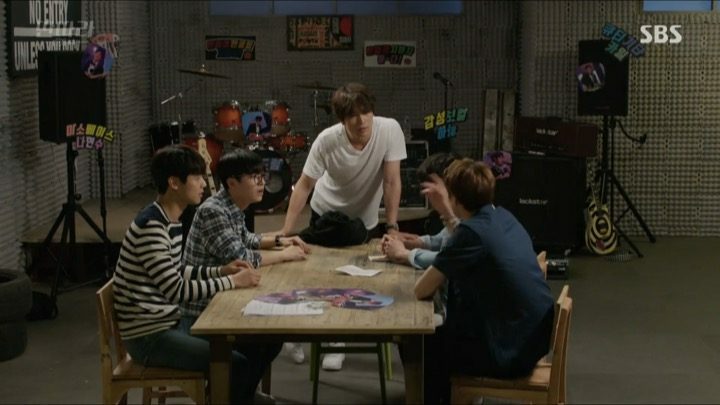 Another character that got quite a bit of spotlight in this segment of the drama was Suk Ho’s former band’s leader, Jinu, who has direct connections to Ha Neul’s case. This eccentric case and its surprising layers of complexity has got me into this drama real good thus far. Meanwhile, the fledgling romance spreads like wild fire in multiple directions. 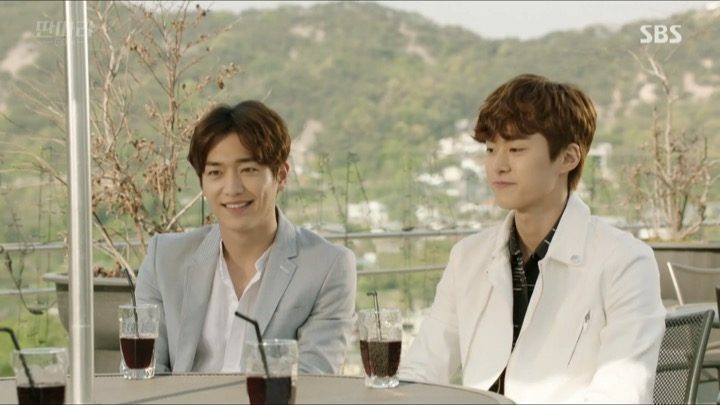 Towards the end of episode 9, Suk Ho starts having romantic notions towards Gue Rin while Ha Nuel confides to Yun Soo about his feelings for his “sister”. Likewise, Suk Ho’s friend Yeo Min Joo (Chae Jung An) subtly expresses her jealousy over him becoming closer with Geu Rin, while Yun Soo gawks at her. Despite the large age differences between some of the pairs, Entertainer manages to make the unbelievable rather normal and natural. The plot picks up speed yet again both on the crime solving and romantic fronts. Suk Ho goes all out in these episodes to bring his rival down and clear both Ha Nuel’s and Jinu’s names regarding the assault case. One of the most noteworthy point is that his character keeps growing through all the adversity he faces. Rather than being a perfect hero, Entertainer smartly positioned Suk Ho as a flawed yet relatable human being with both strengths and weaknesses. His character keeps growing through all the adversity he faces. With regards to the relationships our characters share with each other, these episodes gave the best yet, be it romantic or platonic. 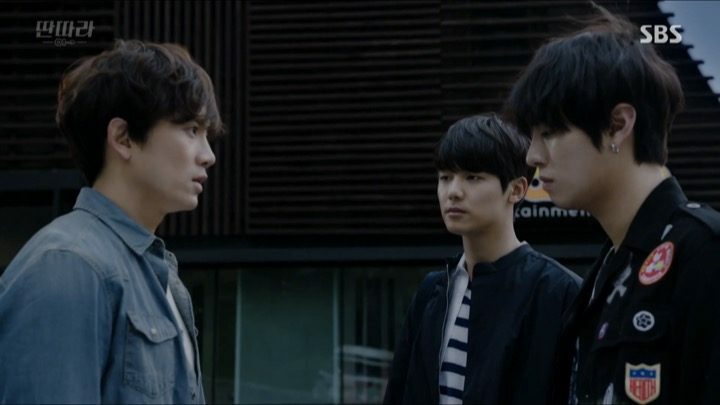 There’s full on heartfelt, tear-inducing bromance between Suk Ho and Ha Neul and Suk Ho and Jinu as they try to be understanding and considerate of each other’s respective emotional agonies. There’s also lovey-dovey moments and escalating feelings between characters. Suk Ho makes the first move towards building his relationship with Gue Rin where the two are often found sharing intimate moments with incredible chemistry even in the absence of full on confessions. While Ha Neul mulls over his increasingly stronger feelings for his adopted “sister”, fueled by the unexpected “invasion” from Suk Ho. 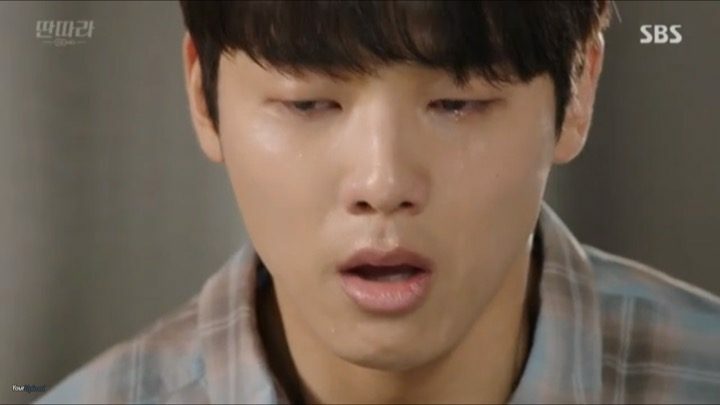 There were a number of especially heartbreaking scenes revolving around Ha Neul’s unrequited love towards Gue Rim, and a humungous cliff hanger at the end of episode 12 of a possible confession from Ha Neul. On the other hand, it was Yun Soo’s turn to tell his backstory and mature as a character. He crosses paths with his first love and mom of his son again, resulting in a sequence of heart-wrenching moments intertwined with a bit of comedy thanks to Yun Soo’s childlike innocence. The entire ordeal brought tears to my eyes as I witnessed the complexity of Yun Soo’s emotional state and the simplicity of its portrayal. I’d also like to especially commend the child actor playing Yun Soo’s son for the age-appropriate pain he channeled through his role. 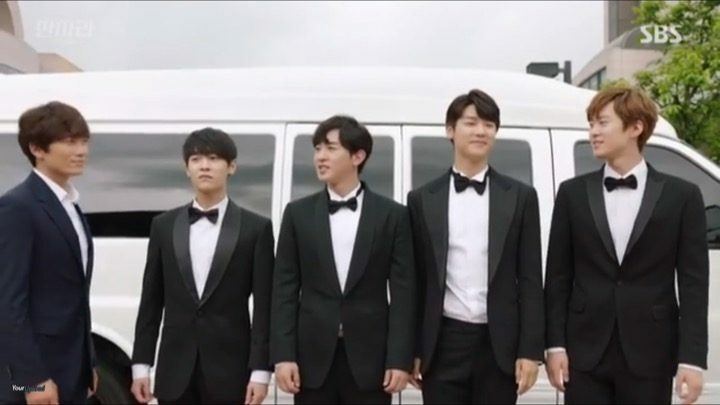 In this section of the drama, Entertainer skillfully mixed the larger strokes of mystery, villainy, and tragedy with the finer details of brotherhood and romance to paint a beautiful picture of character growth. The only exception being that Gue Rin seemed to be only an object of attraction for Suk Ho and Ha Beul and nothing more. I would have liked a stronger female lead with more dimension and progression like the other characters. Besides that, Entertainer completely rocked these episodes. One word that popped into my mind while I was watching these episodes of Entertainer is — bold. The conflicts and resolutions this section of the drama dealt with are profound and worthy of deeper reflection. By leveraging the hidden truth behind Ha Neul’s elder brother’s death, Entertainer tackles serious topics like embezzling other’s creative work, discrimination towards handicapped, suicides, and the price you must pay to set things right. I was pleasantly surprised by the depth these episodes offered and I’d truly like to commend the drama for it. The plot maintains a good flow all through the hurdles Suk Ho and the boys faced. While the drama’s signature comedy makes a temporary exit, the melodramatic bromance and kinship reach new heights. The pain showcased by both Suk Ho and Ha Nuel drove a knife into my heart as I cried along with them for the unjust loss of a great musician. On the romance side, I’m fairly certain that Ha Neul will be one of the second leads that I’d root for, for a lifetime. Every scene portraying his love for Geu Rin, as well as when Geu Rin realizes the shocking emotions Ha Neul has for her and draws a line, made my heart go out for Ha Neul. Entertainer did not, as I have feared, leave us with a raw nerve ending. All the love triangles are beautifully resolved with hints of new love lines forming. Even some of the negative characters get a heartwarming closure and a snippet of a new beginning. This is unlike most other Korean dramas that I’ve ever seen and helped me grinning till the end. Moreover, the plot development continued till the very last scene with a few super unexpected twists. But nothing felt out of place or cliche thanks to Entertainer‘s down-to-earth delivery. Most importantly, the drama’s deep message about the ironies of life — “what goes around comes around” — was well highlighted and tastefully executed by blending in comedy and romance so that it didn’t feel heavy handed. I was thoroughly entertained, in heart, mind, and soul. The final stretch of the drama also didn’t leave me with perfect individuals, but with ordinary people who keep changing and evolving while living life to the fullest. The flaws of the characters were highlighted at times to show that while they’re not perfect human beings, they have found relationships, romantic or platonic, that make them better people. 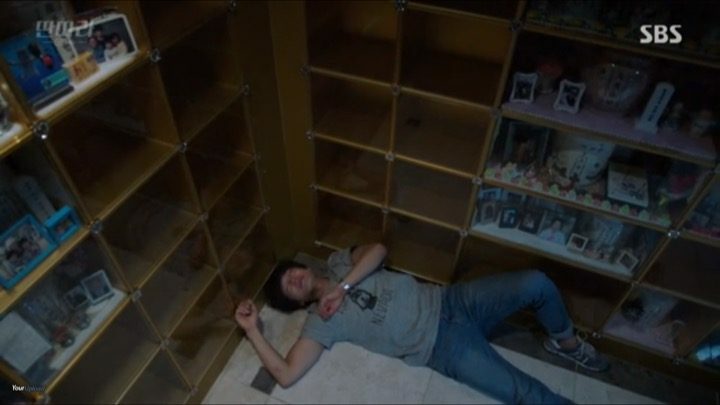 One scene that demonstrated my point is when Ha Nuel carries drunk Suk Ho on his back. It goes to show that adults and teens alike are learning to shoulder responsibilities. 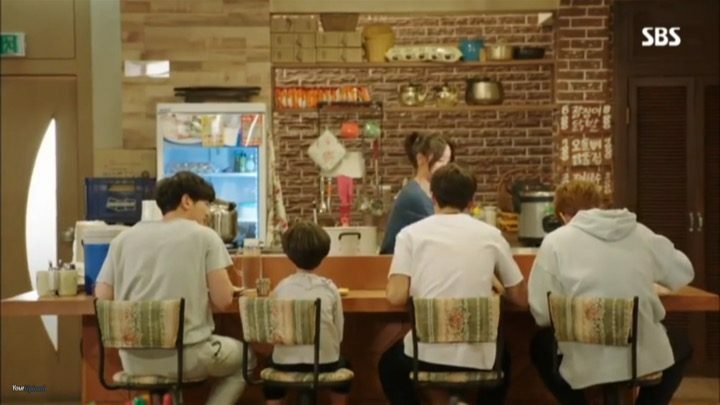 To that end, Entertainer is a not to be missed drama that teaches viewers important life lessons through its extremely likable cast of characters.